As our Boston Personal Injury Attorneys recently reported, the New Balance Hubway Bike Sharing Program did well last year and officials are thrilled with the recognition that our city has received for being such an excellent biking city. Residents and visitors seem to be taking advantage of this convenient form of transportation. 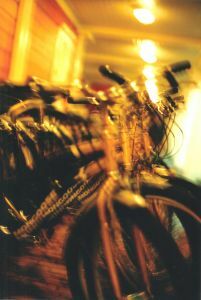 In 2011, there were about 60 stations and about 600 bikes within the program. The Hubway will be rolling out again this month after its winter shutdown. Just a few weeks ago, workers started to re-install some of the kiosks throughout Boston, according to the Boston Globe. Nicole Freedman, who is in charge of the Boston Bikes program, says that there will be the same number of bikes and locations throughout the city. With cyclists back on our roadways, some worry that the risks for bicycling accidents in Boston will skyrocket. Others are anticipating the reduction in the risks for car accidents in the area. Our Boston bicycle accident attorneys would like to inform residents that a few locations of the kiosks are changing as officials set up for this year’s program. To help to eliminate confusion, residents are asked to check out Hubway Location Map. We would also like to remind residents that there are about 40 stations that will be located on either sidewalks or private property. Just remain aware of your surroundings and keep safety as a top priority. While bicycling is becoming more and more popular in the city every year, there are still significant risks for accidents because of the city’s busy travel trends. Be safe and enjoy. The other 20 of the stations of the Boston program are located either on curb-side parking spaces or on roadways. These locations should be up and running shortly after St. Patrick’s Day. Wait! That’s not all. Officials are announcing that there are going to be about 30 more stations and about 300 more bikes that will debut with this year’s launch in Cambridge and Somerville. Those two cities are still in the process of finalizing plans with the operator on Hubway, Alta Bicycle Share. If everything goes as planned, the Hubway system will be expanding north of the Charles River by the summer. These plans could potentially change if we experience inclement weather though. With our seasonably-warm weather we experienced last year, residents are excited to launch this year’s program. Some with the program wish it would have stayed active a little longer. That was the first year of the program though, and officials are learning. With the plans that were in place, the program started packing up and shutting down in November to prepare for the winter. During the first four months of the program last year, there where were nearly 150,000 trips that were recorded. In this bike-sharing program, users can rent bike from various spots around the city, at automated stations, and can return them to any other kiosk. This year, the program is expanding to more cities and expecting even more users. If you or someone who is close to you has been injured or killed in a bicycle accident in Boston or elsewhere in the surrounding areas, contact Boston Injury Attorneys Jeffrey S. Glassman. Our firm offers free and confidential appointments to discuss your rights. Call 877-617-5333.